Our Firm focuses on representing individuals, professionals, and business owners in all matters of estate planning, probate, business succession, select trust & estate litigation, and other litigation engagements. Attorney Oleg Cross is an experienced courtroom advocate, and focuses his practice on both transactional and contested matters related to family wealth preservation, estate planning, and litigation. Fundamentally, our Firm’s focus is on representing individuals in matters and cases that matter to them most. Simply put, estate planning is a legal practice area concerned with making sure that your wishes are carried out, and your family and loved ones are protected from unnecessary court proceedings, costs, and taxes. Our goal is to ensure that your assets are transferred to your loved ones in the most efficient manner possible – with the least amount of fees, court costs and taxes, by applying the most appropriate and practical estate planning techniques. If there are any disputes, we stand by to represent zealously our clients’ interests in court. In the words of the great American lawyer David Boies: “It is easy to be accurate if you have the freedom to be complicated, and it is very easy to be simple if you have the freedom to shade the truth. What’s hard is to be simple and very accurate . 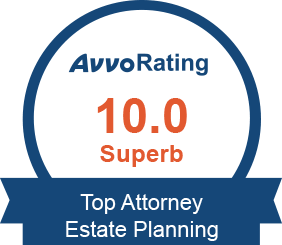 . . ” Estate planning and trust & estate litigation can easily be made very complicated. Our goal is to convey complicated matters to clients in a manner that is simple and entirely accurate, while providing clear practical guidance and advice.